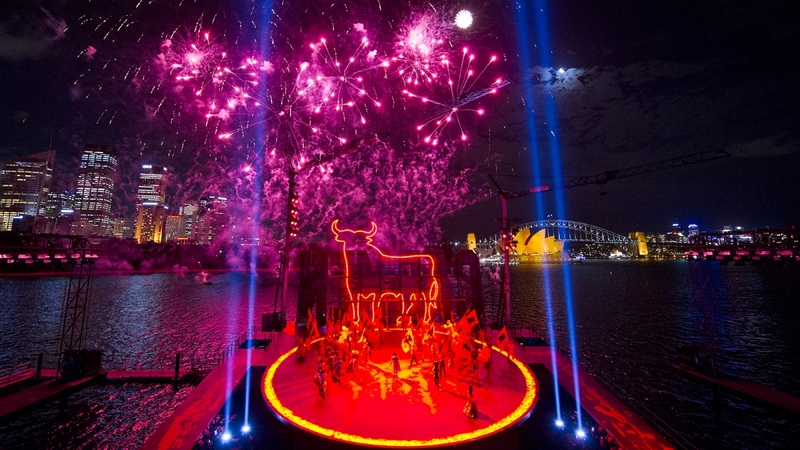 A revival of the 2013 Handa Opera on Sydney Harbour production of Carmen opened last Friday. Two days earlier, the original director Gale Edwards, set designer Brian Thomson and costume designer Julie Lynch issued a statement criticising Opera Australia for refusing to invite them back to oversee the remount. “Therefore, we advise that we cannot guarantee the work’s integrity, or that the public will see the production as it was originally intended to be,” they said in the statement. Re-staged by revival director Andy Morton, there were a few minor changes to the current production, until the final scene. In Edwards’ original version, Don José killed Carmen by slashing her throat. As he approached her body, Escamillo appeared on a lift at the back of the stage standing over a giant bull’s carcass, in a kind of mirror image. In the current revival, Escamillo and the bull no longer appear. Edwards, Thomson and Lynch have today issued another statement expanding on their concerns – the full version of which can be read below – in which they say: “Last Friday’s Opening Night of Carmen justified our apprehensions when various changes were made, and especially to the final scene’s staging by revival director Andy Morton and OA, drastically altering our work without our knowledge. This production is certainly not ‘as true to [the] original format as possible’, as the OA had rebutted and promised in last week’s press announcements”. The statement also says that Lynch’s contract for Carmen included the clause that OA “shall be required to approach the Contracting Party to participate in the supervision of the further use of the design” but that this clause was not honoured by OA. Instead, Lynch accepted a “moderate financial compensation” for the use of her design. Limelight approached Opera Australia for a response to the new statement from the Carmen creative team but were told that OA is making no comment at this time. Carmen creatives extreme disappointed with changes to production despite OA’s claim to ‘stay as true to the original format as possible’. In a press release last week we raised our concerns regarding the risk to our and the production’s artistic integrity by not being allowed to oversee the re-staging of Carmen on Sydney Harbour. In it we said, “we cannot guarantee the work’s integrity, or that the public will see the production as it was originally intended to be”. We follow that release with two main areas of concern: firstly, that the originating creators of any artistic work are best placed to guide artistic integrity in the overseeing of all creative aspects of future production revivals and should always be given “first right of refusal”; and secondly, that Opera Australia (OA) as a publicly funded company has the responsibility and obligation to support and protect the artistic and moral rights of the artists they engage, and that such protections be enshrined in contracts that are honoured. We maintain that the originating artists have the deepest understanding of conceptual and production intention, and therefore should be the first artists consulted and be given “first right of refusal” to be re-engaged on a remount. Lynch attended Opening Night, and came away with dozens of costume notes from dressing clarifications, problems with hair and makeup, colour matching, and body-type issues that should have been addressed for the new principal cast, and would have been easy and inexpensive to do so had OA allowed her involvement. “that artists professionally employed or engaged on Australia Council-funded activities will be remunerated for their work. The Australia Council considers the remuneration of artists to be integral to effective budgeting and planning, and requires information on artists’ remuneration to be available within funding applications. When Lynch’s agent raised the APDG and the Australia Council’s policies on remounts and remuneration, OA responded with “we negotiate our agreements independently to the Australia Council”. Unlike the situations in North America and Europe, Opera Australia has a disproportionate power in the field of Opera in Australia, leaving many artists in a vulnerable position for fair and open negotiation. Even though Lynch’s contract for Carmen included the clause that OA “shall be required to approach the Contracting Party to participate in the supervision of the further use of the design” this was described by OA as a “sticky oversight” and was not honoured. After months of Lynch offering her services and consistently being told “she was not required” she eventually accepted a moderate financial compensation (a fixed passive fee, for the first time) for the use of her design, as opposed to being re-engaged to supervise under the original contract, and eventually she gave up. Edwards and Thomson have not been offered any remuneration.